Mississippi is trying to have real fall weather this year, and I am all for it. The cooler weather motivated my two most recent DIYs. My first DIY is perfect for this season. If you all can recall, I purchased Tilly and the Buttons latest pattern book "Stretch" when it was released earlier this year, and made several versions of the Bibi Skirt in the Spring. You can see my many versions of it here. 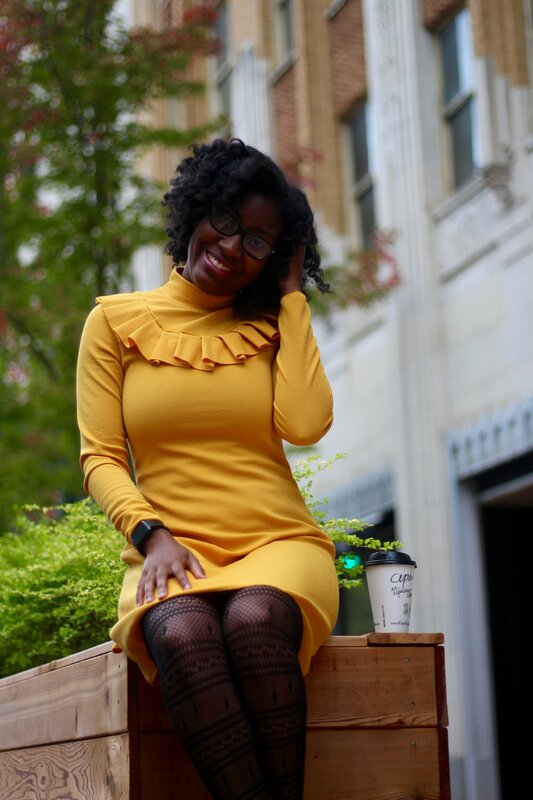 I wanted to recreate the dress look in the pattern book, which meant getting my hands on the right shade of yellow knit. I went with the mustard Liverpool knit from LA Finch fabric. LA Finch customer service was excellent, my order was shipped in a timely fashion, and wrapped and tied with some beautiful black lace trim, which I plan to use on a future project. I went with liverpool because it is medium weight with great stretch and recovery. I also loved the color of the fabric and texture on the right side of the material. The Freya pattern, like the Bibi Skirt Pattern, is a versatile pattern and can be used to make several different styled sweaters and dresses. The book includes instructions on how to finish the neck three different ways, and the sleeve can also be finished at different lengths. For my look, I went with the mock neck band and optional ruffle finish. I cut the size 3 for the bodice but graded to a 4 at the hip. Unfortunately, I was so excited to finally be working on this dress that I forgot that I would need to make a swayback adjustment. It wasn't until I had nearly finished that I remembered. So I did what any good home seamstress would do, I improvised. I simply cut up the center back bodice and took it in along the seam allowance in necessary areas. Aside from that, I love this dress. For future makes, in addition to a swayback adjustment, I plan to lengthen the dress two inches and lengthen the sleeves half an inch. Both were too short this go round and had to be finished with a narrow rolled hem to preserve the length. My second DIY was this belt bag. I have wanted to make a round shape belt bag (aka fanny pack) since Gucci's pre-fall 2017 reveal. I knew I would never spend that much money on a bag, but I didn't mind making one. I meant to make it this past summer but did not have the energy. I finally felt inspired last weekend and made my way to JoAnn to buy supplies. I made the bag using this youtube tutorial, and I am glad I finally did it because it looks fantastic. Plus, I made something I haven't made before. 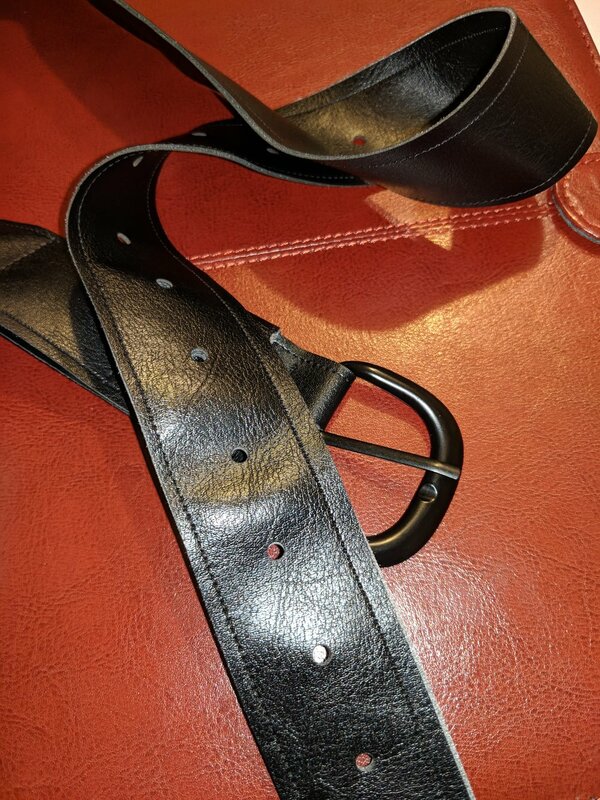 A belt! 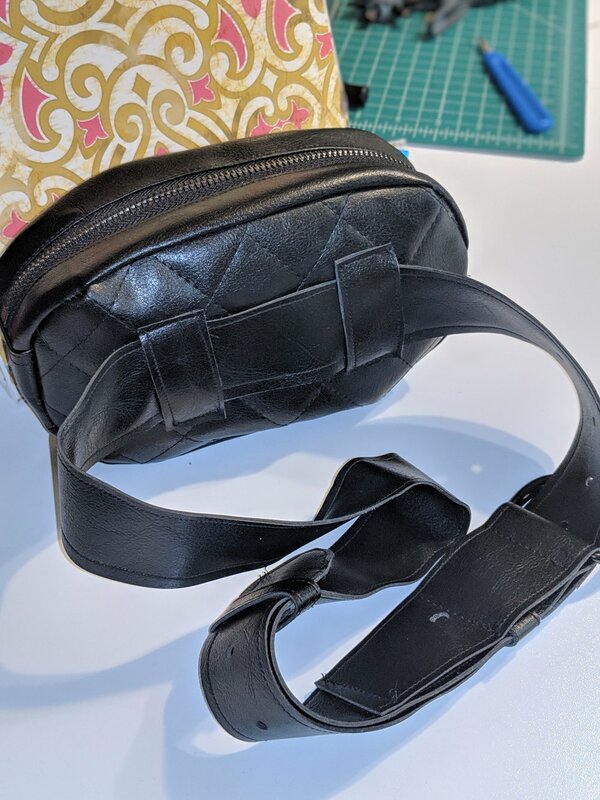 If you are going to attempt to make this bag, I recommend using a walking foot or teflon foot when quilting your leather pieces. Both feet will ensure that the fabric moves along the feed dog without hiccups. Remember there is no going back once your needle punctures leather, so getting it right the first time is important. This bag project is best for intermediate sewers, but if you are a confident beginner, I say go for it. To complete my look, I paired the dress with diamond print tights from rue21 and my brown Bongo penny loafer heels from Sears. I am glad that I added this Freya dress to my wardrobe, and I can’t wait to pair it with a casual style boot and brown trench coat for date night. I have already worn the belt bag again with jeans, so expect to see this often if you follow me on instagram. Until next time, happy sewing.